The launch mission for Intelsat 31, which features the DLA-2 Ku-band payload for DIRECTV Latin America, is well underway here at Baikonur Cosmodrome in Kazakhstan. 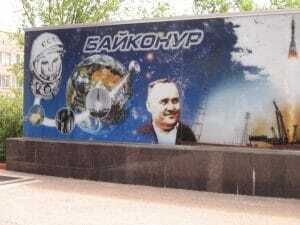 Many of you know how historical Baikonur is. 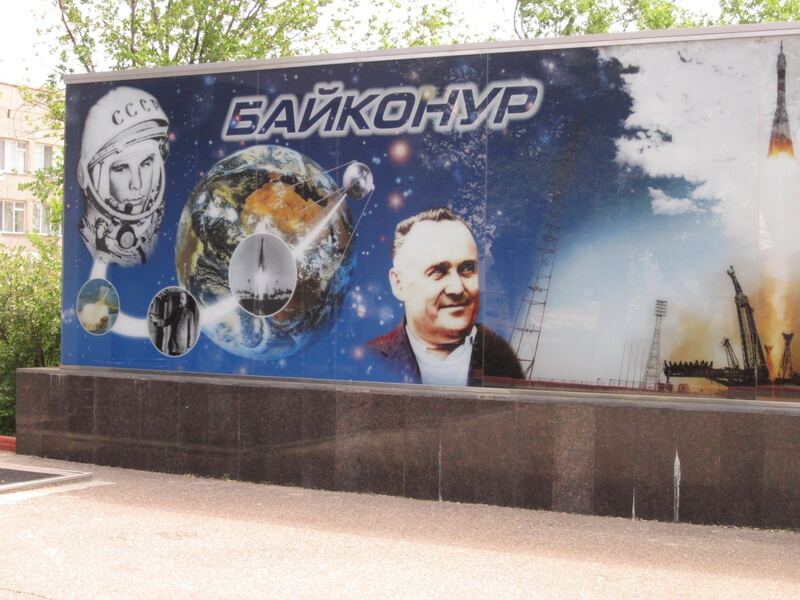 It was here the first satellite, Sputnik, and the first human, Yuri Gagarin, were launched into outer space over 50 years ago (both events depicted in the mural shown at left). These pioneering efforts demonstrated to the world that we could launch humans and satellites into space. It’s good to be back in this very historical place. I was last here in 2012 supporting the Intelsat 23 launch. Fast forward to 2016: Since Jon Harborne wrote last on our blog, Intelsat 31 has been fully tested and confirmed ready for integration with the Proton launch vehicle. After some more testing and fueling, SSL will begin combined operations by mounting the satellite on top of the Proton. This will signify the start of joint operations when we mate all the pieces together into an integrated launch vehicle. As with most launch sites, Baikonur is a bit removed. It is sixty miles from the nearest small town and everything needs to be brought in for us. That includes food, supplies and entertainment gathered during the “Costco Run of the Century” in order to keep everyone’s energy up throughout the launch campaign. During the weeks leading to the launch, the SSL team hosted a couple of old fashioned BBQs where we could take a few moments away from the round-the-clock preparations for the Intelsat 31 lift-off. 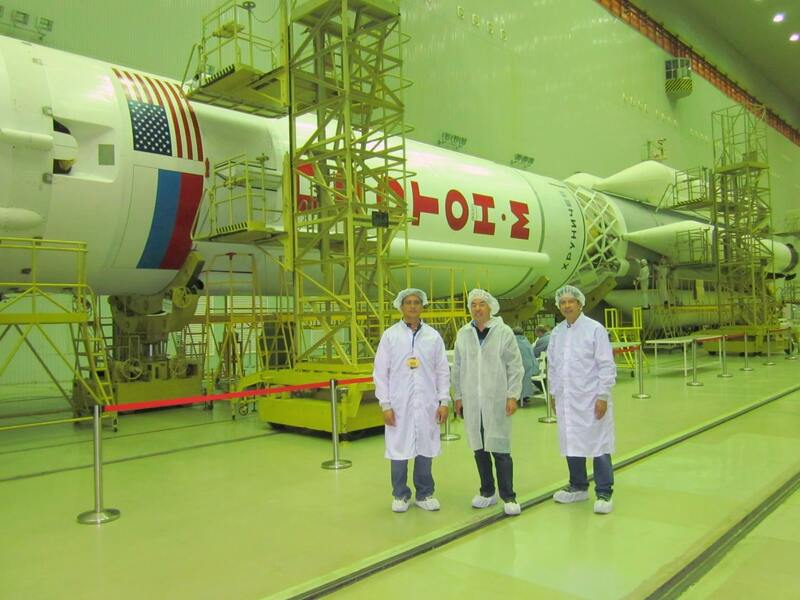 Here you see Intelsat and SSL team members inspecting the readiness of the Proton launch vehicle.